Simplifying your skincare routine can be a task if you're a blogger like myself and are constantly trialling out new products. In the morning, if I'm in a rush I tend to go in with a refreshing face wash, followed by a spray on toner like the La Roche Posay offering and then finish it with a moisturiser to help prep my skin for makeup. For the evening, I struggle the most as I like to use a double cleanse, serum and mask on top of my usual products. The best way to cut your routine is to use products that don't need a lot of work, such as the Garnier Micllear Water to remove your makeup and multitasking products like the the Avene Hydrance Serum* that acts as both a serum and primer. I've done a lot of research of multitasking products and simple ways to cut time. One of the most helpful tips I've found is whilst brushing your teeth, you can scrub your lips too,;this means that your lips will feel softer and your lipstick will go on easier. Another top tip of mine is if you're opting for little to no makeup, splashing your face with cool water can help to reduce the size of your pores and waken you up too - I've got to credit Martha Stewart for those tips! Although I try and make sure my makeup products are all in one place, it can take me an extra ten minutes trying to rifle through it all looking for a particular blush or lipstick to use. One of my top tips is to reach for a palette that contains all of the powders you need, for example the Hourglass Surreal Light Palette is great if you're a regular user of face powder, bronzer, blush and highlighter as it is all in one place. For my hair, I tend to usually embrace my natural curls by spritzing in the Sachajuan Ocean Mist to create soft, floaty locks that last all day. 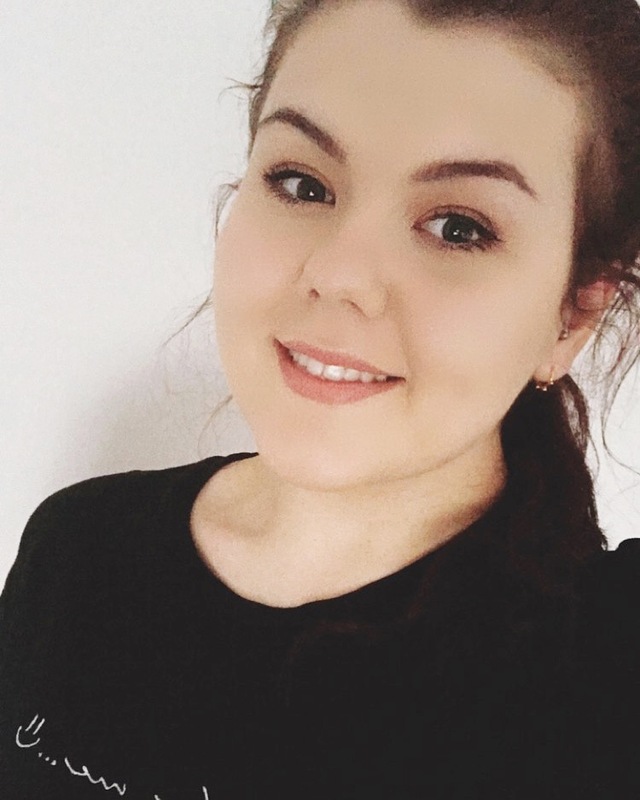 If you want a style which requires minimal heat then there's a lot of Pinterest hacks to help you like this one, however I am a fan of a messy bun when I need to get out of the house quickly. 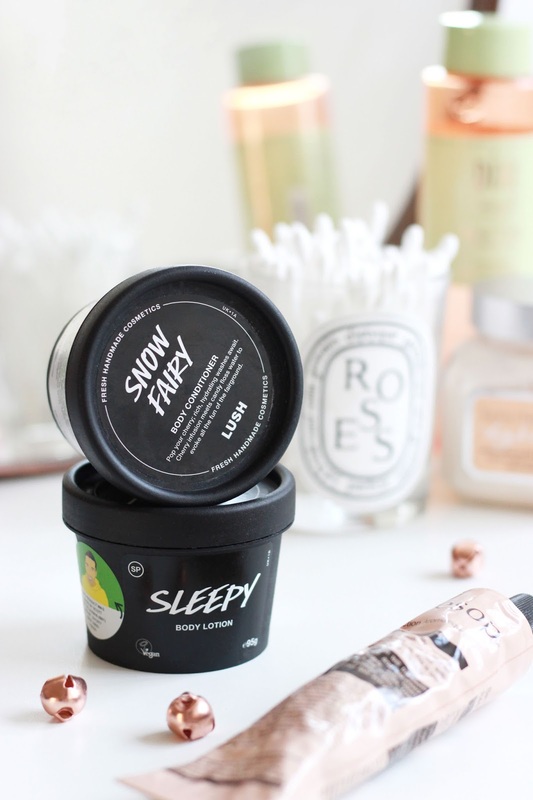 In terms of my showering, the best way to cut time is by using an in-shower moisturiser, and with the new Lush Christmas collection being released, the Snow Fairy Body Conditioner is the perfect addition. Once applied, left on for a minute or so and then washed off it gives an instant dose of hydration and allows you to skip applying moisturiser after the shower too. If you're not a fan of the sweet scent, then I would recommend looking into the Ro's Argan Body Conditioner as this floral fragrance still lingers on the skin, whilst being just as nourishing. Do you have any methods that help you cut your routine in half?